The emerging science of biological engineering encompasses engineering theory and practice applied to biological science. 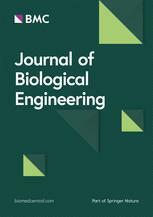 Journal of Biological Engineering welcomes submissions on the continuum of genetics, cells, molecules and systems to enable convergence of biology and engineering to varied life science applications that impact and transform our societies. As the official journal of the Institute of Biological Engineering, with a world leading Editorial Board, we provide a home for high quality research and Special Issues on cutting edge topics.